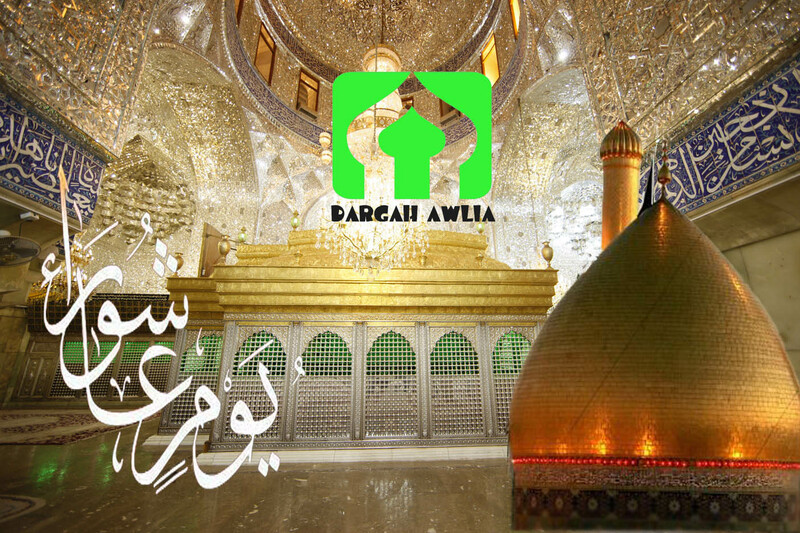 The day of `Aashourah (Yawm e Ashourah) is the 10th day of the month of Muharram. The word `aashourah comes from the arabic word `ashrr which means the number ten. It is the chief (superior) of all days (daytimes) just like the Laÿlat-ul-Qadr is the superior of all nights. Let us consider the many reasons which make the importance of this blessed day. 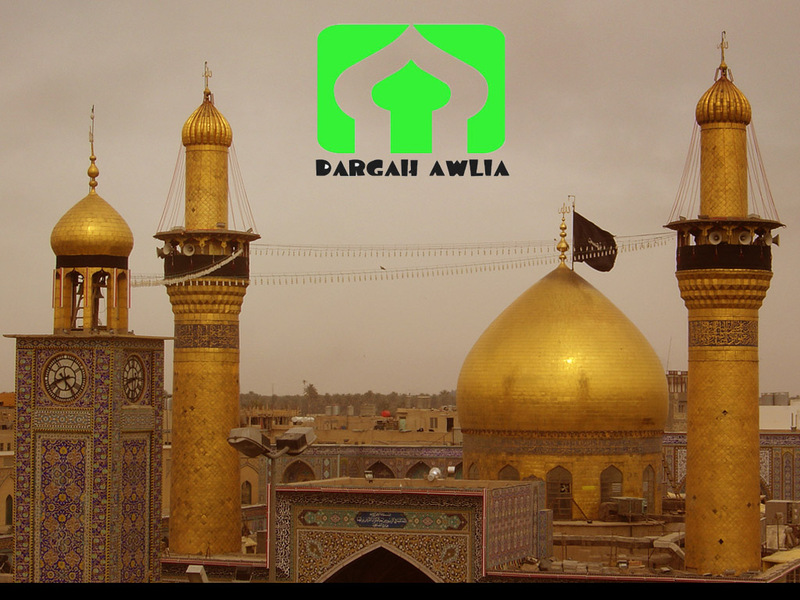 Allah ta’ala directed many great events through the past making them taking place during a 10th of Muharram. First of all, It is one Yawm-e-`Aashourah which Allah subhaanahu wa ta’ala created his throne (`arsh-e-`aazam), the paradise (jannat), the hell (jahannam), the skies, the earth and what it comprises and also made the rain fall for the first time on that day. Also Hazrat Jibraïl a.s (Gabriel archangel) and the other angels were created on that day and especially Allah ta’ala created his greater creation the famous Nour-e-Muhammad (the light of Hazrat Muhammad ). The other events which took place on a Yawm-e-`Aashourah are: Allah did accept the du’as of Hazrat Aadam (a.s) the prophet Adam, one Yawm-e-`Aashourah. Allah had raised Hazrat Idriss (a.s) the prophet Enoch and Hazrat `Issa (a.s) the prophet Jesus, to the skies, on a Yawm-e-`Aashourah. Hazrat Nouh (a.s) the prophet Noah, after the great flood, his arch was landed again on the ground on a Yawm-e-`Aashourah. During the era of Hazrat Younus (a.s) the prophet Jonas, the large fish redeposited him on the ground on a Yawm-e-`Aashourah. Hazrat Ibraaheem (a.s) the prophet Abraham, took birth on a Yawm-e-`Aashourah and obtained the title of Khaleelullaah (close friend of Allah) on a Yawm-e-`Aashourah. Allah ta’ala delivered him from the fire of Namroud (Nemrod) and his followers, on a Yawm-e-`Aashourah. Hazrat Ya’qoob (a.s) the prophet Jacob, met his son Hazrat Yoosuf (a.s) the prophet Joseph, after a very long and painful separation, on a Yawm-e-`Aashourah. 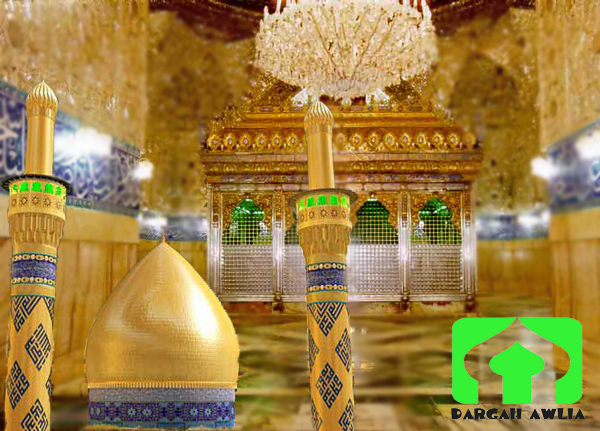 Hazrat Daawood (a.s) the prophet David, and afterwards Hazrat Sulaÿmaan (a.s) the prophet Solomon, obtained their kingdom on a Yawm-e-`Aashourah, after the reigns of cruel kings. Hazrat Ayyoob (a.s) the prophet Job, obtained his cure and relief on a Yawm-e-`Aashourah after a serious and long illness which was a test of patience (swabar) for him. It is on a Yawm-e-`Aashourah that Allah ta’ala splitted the river Nile so that Hazrat Moosaa (a.s) the prophet Moses, his brother Hazrat Haaroon (a.s) the prophet Aron and their people (ummat) could cross water (and the sea closed again on the men of Fir’awn (Pharaoh) and absorbs them. It is on a Yawm-e-`Aashourah that Hazrat Moosaa (a.s) spoke to Allah ta’ala on mount Sinai. So, Allah ta’ala led many events during the chief of all days, just like the beginning of the voyage of emigration (Hijrat) of the holy prophet Muhammad accompanied by Hazrat Abu Bakr Siddeeq (r.a) particularly in the cave of Ghaar-e-thaurr. Also Allah ta’ala directed the event of the martyr of head of all the martyrs, the grandson of the beloved prophet , Hazrat Imaam Husein (r.a) who had fallen on a Friday (head of the days of the week) 10th of Muharram thus a Yawm-e-`Aashourah in the year 61 Hijri. Since Yawm-e-`Aashourah is the superior of all days, it is undeniable that the last day, the day of resurrection, the day of final judgement, the famous Qiyaamat will take place on a Yawm-e-`Aashourah, a 10th day of the month of Muharram. 1. On this day Allah Ta’ala, according to the meaning most suited to Him, descended on the Arsh. 2. It rained for the first time. 3. Mercy was revealed for first time. 4. Adam Alaihis Salaam’s repentance was accepted. 5. Allah Ta’ala elevated Idris Alaihis Salaam towards the heavens. 6. Hazrat Nooh Alaihis Salaam’s ark rested at the mountain of Joodi. 7. Hazrat Ibrahim Alaihis Salaam was born. 8. Hazrat Ibrahim Alaihis Salaam was made His ‘Khaleel’ by Allah. 9. Hazrat Ibrahim Alaihis Salaam was released safe from the fire of Namrood. 10. Hazrat Daud Alaihis Salaam’s repentance was accepted. 11. Hazrat Sulaiman Alaihis Salaam recovered his kingdom. 12. Hazrat Ayub Alaihis Salaam was relieved of his illness. 13. Hazrat Musa Alaihis Salaam was born. 14. Hazrat Musa Alaihis Salaam was victorious over the magicians. 15. Hazrat Musa Alaihis Salaam successfully crossed the river and Firaun was drowned. 16. Hazrat Yunus Alaihis Salaam was born. 17. Hazrat Yunus Alaihis Salaam was freed from the belly of the giant fish. 18. Hazrat Yaqub Alaihis Salaam regained his eyesight. 19. Hazrat Yusuf Alaihis Salaam was freed from the well and also from confinement. 20. Hazrat Isa Alaihis Salaam was born. 21. Hazrat Isa Alaihis Salaam was raised to the skies. 22. RasoolAllah Sallallahu Alaihi wa Sallam was married to Ummul Mu’mineen Hazrat Khadijatul Kubra RadiyAllahu Anha. 23. Imam Hussain RadiyAllahu Anhu attained martyrdom. 24. The Day of Judgement will take place. It is thus recommended to do an utmost of ibaadats during this blessed day and also during its night (Laÿlat-ul-‘Aashourah), to make charity and to observe the roza (fast) during this blessed day. Hazrat Hafsah (r.a) reports that the holy prophet was regularly fasting on the day of the `Aashourah. It should be noted that at the beginning of Islam the roza of Yawm-e-`Aashourah was formerly compulsory, but upon the last ummah (people), when the roza of Ramadwaan became faraz (compulsory), the roza of Yawm-e-`Aashourah becomes a significant nafil (surplus) According to a hadeeth of Muslim shareef, Hazrat Abdullah Ibne Abbaas (r.a) reports that when the holy prophet observed the roza of Yawm-e-`Aashourah, he also advised the sahabas to make the same way. Some sahabas told him that the Jews also was respecting and observed this roza of `Aashourah and so the beloved prophet replied that if he would be still alive the following year, he would also observe the day before, i.e. the 9th day of Muharram too. But the holy prophet did intiqaal (deceased) the following year, but since the sahabas, taabi’eens and awliyaas who followed all kept this principle by observing the roza the two days altogether, i.e. 9th and the 10th of Muharram. However, it should be noted that if somebody does not have the occasion to observe the roza the 9th day, he can observe only the 10th day, i.e. Yawm-e-`Aashourah only (except if it happen to be a Friday, so, it will be necessary for him to add another day, therefore the saturday also). According to a hadeeth of Mishkaat shareef, Hazrat Abdullah Ibne Mas’ood (r.a) reported that the beloved prophet said that the muslims who offer Swadaqa on the blessed day of `Aashourah, only for the pleasure of Allah ta’ala, on his turn Allah makes the promise that he will grant these people blessings (barakats) in their food (rozi) during one whole year. Hazrat Jaabir (r.a) and Hazrat U’ayna (r.a) specified that during 50 to 60 years they practised the recommendation of this hadeeth, by observing the roza, nafil namazs and the swadaqa on the day of `Aashourah and could witness how Allah increased their rozi and they thus recommended to all muslims to do the same. Hazrat Ali (r.a) said that on the day of `Aashourah, cut your nails, take a special bath, put the surma (black eyes) and the perfume (attar), observe the roza, make the namazs nafils, offer the swadaqa, make the tilaawat (reading) of Qur’aan shareef, make Istighfaar (asking allah for forgiveness), make zikrr etc… Allah appreciate very much these ibaadats from us. Upon the arrival of the night of `Aashourah (Laylat-ul-`Aashourah/Shabbe-`Aashourah), Hazrat Abdullah Ibne `Abbaas (r.a) recommended to make 4 raka’ats of namaz nafils as follows: in each raka’at, after sourah al-Faatihah, read 1 time Aayat-ul-kursiy and 3 times sourah al-Ikhlaas. After the salaam, read 100 times the 3rd kalimah. This ibaadat purifies believer from his sins, raises his faith (imaan) and attracts on him the blessings (barkats) of Allah ta’ala. During the day of the `Aashourah, at the time of Tchaast (between 9 o’clock and 11 o’clock of the morning), read 2 raka’ats of namaz nafil with the niyyat of Swalaat-ul-`Aashourah and in each raka’at, after sourah al-Faatihah, read 10 times sourah al-Ikhlaas. After the salaam, read 1 time Aayat-ul-kursiy and 9 times Daroud-e-Ibraheem and then 70 times : “Hasbiyallaahu wa ni’mal wakeel, ni’mal mawlaa wa ni’man-nasweerr”. After that, make your du’as, insha-Allah they will be accepted. Aameen.